There’s nothing better than breaking away from the modern world and stepping out into the wilderness, whether you do it to beat stress or just give yourself some adventure for the weekend. While all that outdoors is certainly fun, there’s nothing enjoyable about having your camping or hiking gear ruined by a bit of rain. Waterproof bags were never really considered an essential item for the outdoors until people started realizing how much they could actually help. For anyone who likes to go outside for an adventure and doesn’t mind getting a little wet, you need to be sure your stuff has remained dry as a bone so that you’ll be able to use it later. Items like matches, food, clothing, and sleeping gear are all pretty useless to you when they’re wet, and although you could start a fire and get them dried off eventually it would take hours out of your day. What the modern outdoor enthusiast wants is somewhere safe to keep their belongings so that they don’t have to give it a second thought, whether they’re trekking through a stream or walking in the torrential rain. TOPQSC has designed an affordable bag that can do exactly that, and its unique waterproof abilities make it a must-have for the outdoors lover. No longer will you have to worry if your belongings are safe and dry anymore because you can pack them up and get on your way with peace of mind they’ll be okay. TOPQSC is known for making products that are affordable and practical, whether it’s outdoor gear for camping or beauty accessories for the home. They specialize in a wide range of products and pride themselves on making them affordable and high quality, and that’s what you’ll get from their Outdoors Backpack. This backpack is a 25L capacity bag which makes it the perfect size for a day outdoors. Whether you like to camp, fish or hike this bag will serve you well, and it has so many features that people look for nowadays when choosing an outdoors backpack. Although the best feature of this bag is its water resistant abilities, it’s versatile enough to use in just about any situation. 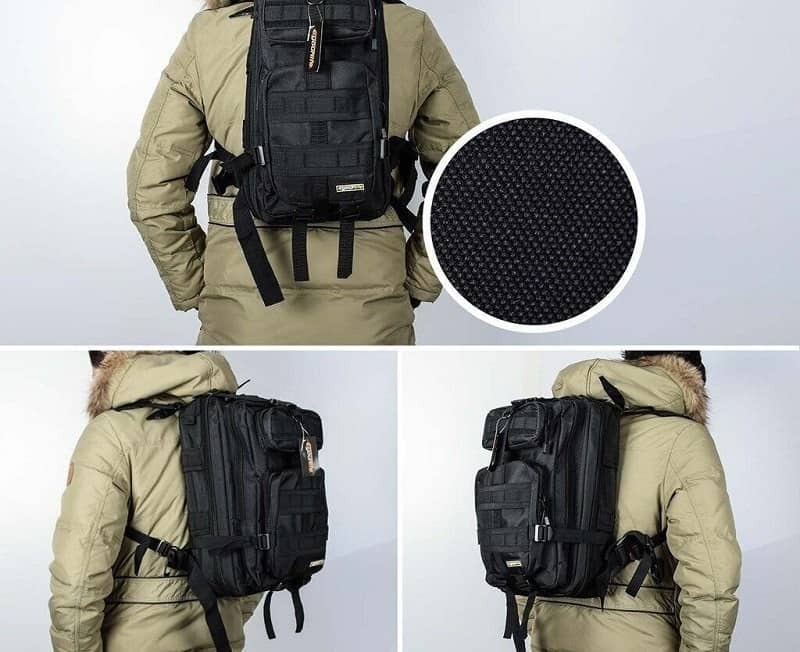 The TOPQSC Outdoor Backpack could be used for traveling, taking on a day-long hike, camping, or trekking through the woods, so there’s no limit to how you can enjoy it. The best thing about this bag is the materials used to make it. 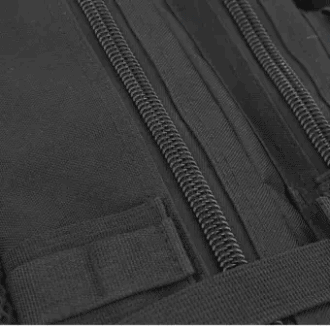 There’s a surprising amount of quality here for a bag that costs so little, with everything from the military grade polyester oxford or the high-intensity military regulation slip resistant zipper. These are materials you’d expect to find on a backpack that cost hundreds of dollars but TOPQSC has made it for a lot less. The comfort factor of this backpack is by far one of its biggest benefits so anyone who’s struggled before with uncomfortable straps or a bag that rubbed against you as you walked, you’ll want to invest in this one. Comfort is crucial when you’re outdoors so any little thing you can do to make things better will help. At 25L it might be that this bag is a little small for everyone, and probably wouldn’t suit longer camping trips unless you had another bag to bring along. A 25L backpack is great for day trips, though, as long as you know not to over pack and only take along the essentials. It measures just over 17 inches high so be sure that you’ve measured your own gear before purchasing so you can be sure it’s going to fit. For a great price on the TOPQSC Outdoor Backpack, you can head to Amazon for a great price. While the price might seem exceedingly low, it doesn’t mean that they’ve given anything away on quality, so snap up this deal while you can. 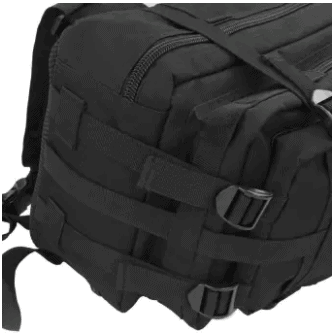 Due to the low price, you might even want to get yourself a backup bag for the day when yours finally gives up. Otherwise, these backpacks are the perfect gift to give a friend or relative and would be especially appreciated by anyone who loves to spend their spare time in the great outdoors. One great bonus of buying your backpack online through Amazon is the free shipping on eligible orders over $25. Otherwise you'll still usually get a great shipping rate from Amazon. There’s no warranty offered by TOPQSC which is unfortunate, but as it's an item fulfilled by Amazon you can get a replacement if the item is faulty. You'll also have 30 days to return the item and get a full refund if there's any other problems - as long as it's still in a new and unopened condition. If water has been a problem for you in the past when you get outdoors, you’ll want a bag that you can rely on to keep it out. 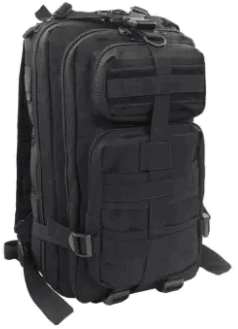 The TOPQSC Outdoor Backpack has unique water-resistant abilities thanks to its military grade materials that ensure your belongings stay bone dry while you get out and explore the world. There’s nothing worse than getting soaked on a hike or camping trip only to find the rest of your gear was soaked too, so this is an affordable solution to the problem before it arises. Get yourself the water resistant and durable TOPQSC Outdoor Backpack.